Sold by Just Right! and Fulfilled by Amazon. Gift-wrap available. 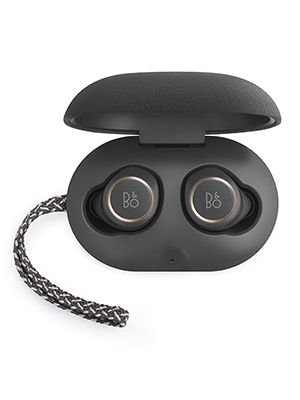 Beoplay E8 headphones are truly wireless with advanced Bluetooth 4.2 technology with DSP for sound tuning, equalization, and gain. 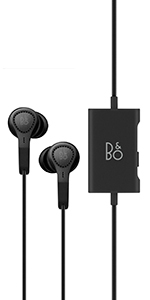 The elegant splash and dust-resistant design of these compact and comfortable earbuds delivers superior sound quality. Simply grab these wireless headphones and go to enjoy the freedom of superior sound wherever and whenever you want it. Nothing comes between you and your music. 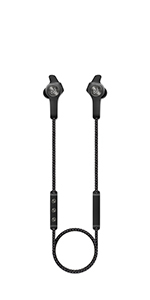 Near Field Magnetic Induction (NFMI) audio streaming technology ensures greater connectivity for limited dropouts between the two earbuds. 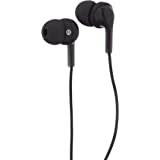 NFMI is the same digital wireless technology used in hearing instruments to transmit sound from one earphone to the other. 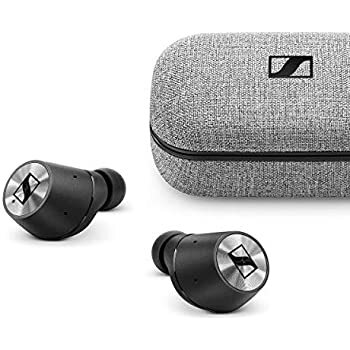 A magnetic field around your head sends signals faster between the two earbuds to ensure superior sound without any loss of quality or drop-offs. 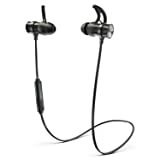 Enjoy cutting-edge sound when listening to music or on calls. 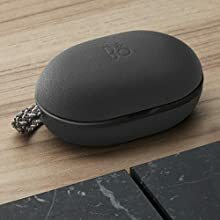 Beoplay E8 wireless headphones travel in style with a luxurious leather carrying case that doubles as an on-the-go charger. 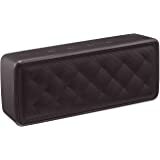 Snap your earbuds securely into this genuine leather case, and then grab the woven fabric strap for convenient transport. 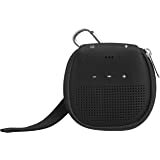 With up to 12 hours of playtime (four hours for the initial charge followed by two portable four-hour charges) you can keep the music flowing and the calls coming all day or night. 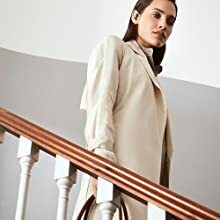 Whether you’re commuting, working, playing or relaxing, you can adjust the sound profile of your earbuds to fit your activity using ToneTouch on the Bang & Olufsen app. Another handy feature of the app is the ability to customize the Transparency Mode function on your headphones by choosing between four levels of transparency to suit your needs. 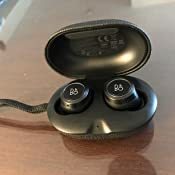 If there are problems with left ear drop outs, it is usually due to magnetic interference in the NFMI technology that we use to make the E8 true wireless. . 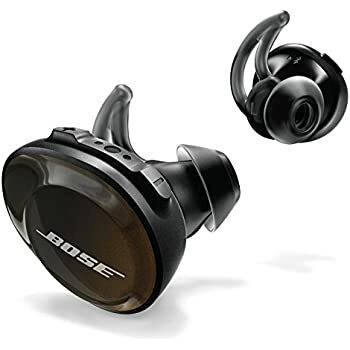 This is not necessarily a defect but can be due to interference in the Bluetooth signal from other signals or products, or due to bad Bluetooth antenna on the source. 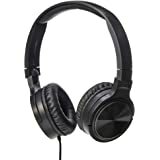 **UPDATE AT BOTTOM** I pre-ordered these headphones in mid-September, back when the release date was listed as October 12. Mine shipped on that day, then Amazon changed the release date to October 23rd, and wouldn't let me post a review because "the item hasn't been released yet". Anyway, the headphones look and feel great. The charging case is very nice, and the buds fit into their slots with any of the tips attached. Mine came with FIVE pairs of tips - XS, S, M and L silicone tips, plus M "comply" memory foam tips. I find the memory foam tips to be most comfortable, and I can easily wear them as long as I'd like without discomfort. First impression of audio was poor. Upon initial pairing, sound quality was VERY compressed and bad sounding. VERY bad. 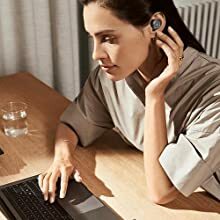 Marketing materials for the E8s say that they support AAC codec, which is Apple's choice for bluetooth audio transmission - so I should be getting great quality sound on my iPhone, but I wasn't. Furthermore, the volume wouldn't go up very high. I tried pairing the buds to my Macbook instead, and although I got better volume, the sound quality wasn't much better. I did some research and determined that Macs do not have the AAC bluetooth audio codec enabled by default, but it can be switched on easily. 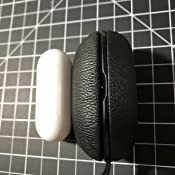 So I enabled it and re-paired the earbuds. 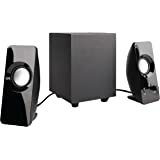 Now the sound quality is excellent and volume is great. After that, I "forgot" the buds on my phone and re-paired them. Using the Mac console app with my iphone connected, I was able to see that the buds were now using the AAC audio codec, (whereas before they were using the old low-quality SBC codec) and sound quality and volume was now excellent. 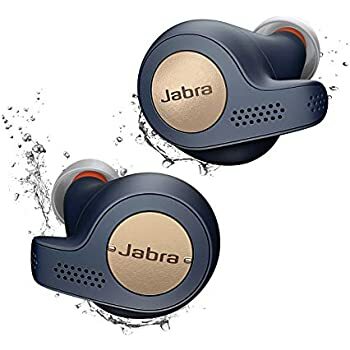 In other words, my recommendation is to unpair and repair the earbuds after first setting them up; otherwise they may stay locked on low-quality SBC profile. Once the buds are on AAC codec, they sound really great. 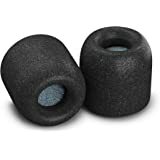 Audio is balanced and bass is very clean and smooth. I found highs to be a tad shrill, but I was able to use the B&O app to bump the EQ a little into the "warm" area to correct for that. Like airpods, you get battery level displayed on your iPhone, as well as control over the volume using your Apple Watch's crown, if you have one. 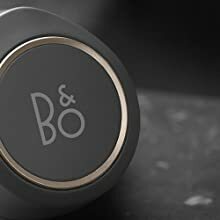 One handy feature is that your phone and the B&O app can connect to and change settings on the buds even if they are paired to another device. For example if you are listening to music from your macbook and you want to change the buds' EQ, you can open your phone and do that without interrupting anything. 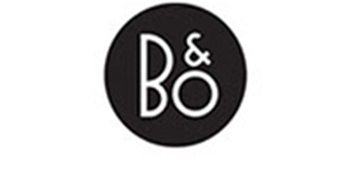 B&O advertises "transparency mode", "which quickly and safely reconnects you with ambient noises around you". I was very disappointed with this feature. 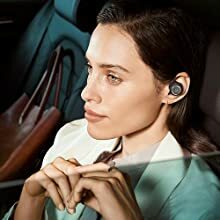 I expected it to use the onboard microphones to listen to the environment and mix some of that sound in with my bluetooth audio. But that is NOT what it does. You get 3 modes you can choose. 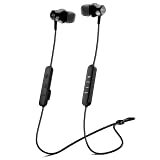 Mode 1 completely shuts off the bluetooth audio and plays the audio from the mics. Audio quality is very poor and compressed. It doesn't even PAUSE your music. It mutes it. Modes 2 and 3 simply lower the volume of the bluetooth audio. They don't mix in any ambient sound themselves. It's no different than just turning the volume down yourself. 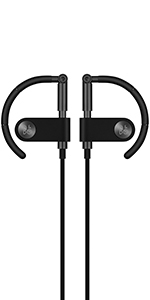 The buds physically isolate external sound very well, so this results in your music being quieter but still being unable to hear ambient sound. 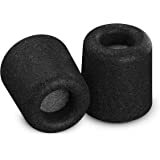 The only other issue I've had with the buds is periodic dropouts of the left earbud. 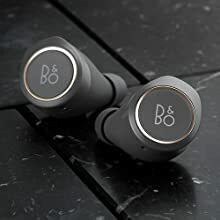 The right bud is the "master" bud, which talks to your phone via bluetooth, and the left bud is the "slave", which, according to B&O's marketing, "are crafted with Near Field Magnetic Induction (NFMI), an innovative audio streaming technology used in hearing aids that ensures zero dropouts between the two earbuds.". However, occasionally the left earbud will drop out for a fraction of a second. Sometimes I can go for 10-20 minutes without a single dropout, sometimes I get 3-5 in a single song. 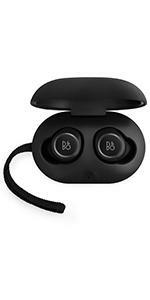 I posted about the bluetooth issues on reddit, and another E8 owner came forward with the exact same issues, including the slave dropouts. It seems like the magnetic connection is very "directional". 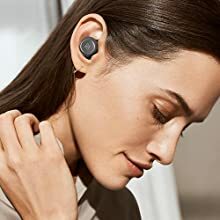 If you remove the master earbud, the slave immediately cuts out, and the master keeps playing in your hand, making it SEEM like they automatically paused or shut off (like airpods), but they didn't. 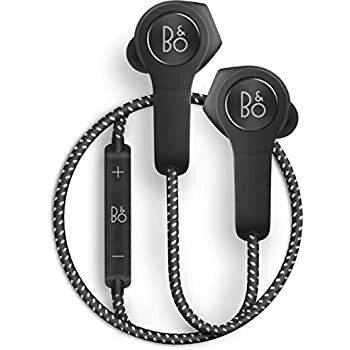 I emailed B&O, explaining that the left (slave) earbud, which communicates with the master via magnetic field induction, would sometimes cut out. The right earbud (master) worked fine. I asked if a firmware update was in the works to fix this, or if there were any known fixes. 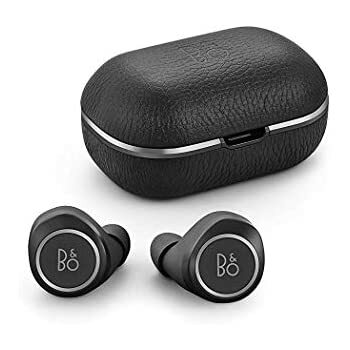 I got a thoughtless cookie-cutter response from B&O telling me that they "can't tell me" anything about firmware updates, and the problem was probably with the bluetooth drivers or antenna on my laptop, and that I should consider getting an external bluetooth DAC instead. Ignoring the fact that it's obvious to anyone with a brain stem that the bluetooth transmission is not the issue. He offered to let me "send them in" and "if they are able to confirm the issue", they would repair them for me. What a joke. Today I paired the E8s to my new iPhone X. 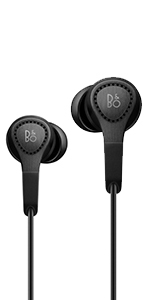 Upon starting the Beoplay app, I was informed that there is a new firmware update available. I installed it. Transparency mode is now fixed, and works as advertised. You can choose between "completely mutes music and lets outside microphone audio in", "lowers music to 25% and lets outside microphone audio in", and "lowers music to 50% and lets outside microphone audio in". This makes sense and works well for me. I've raised the rating to 4 stars. Also, perhaps anecdotally, I don't get dropouts of the left earbud nearly as often as I did when the pair was new. I haven't had a SINGLE dropout of the left earbud since the firmware update. 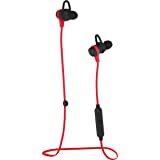 I don't know if they increased the transmit power of the NMFI or what, but now these earbuds are everything I had hoped! Highly recommended. Just update the firmware straight away. It'll prompt you in the app. I love my music. I love my headphones. 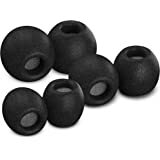 I’m the type of audio enthusiast that’s owned and tried a variety of over the ear phones, around the ear and now buds. 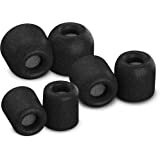 I started with the Jaybirds a few years back and those would stall out every 6-8 months. 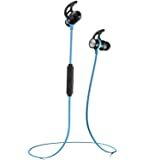 My next journey took me to the Bose Soundsports.. kaput in 4 months.. Now let me be upfront I use headphones non stop, ha!. 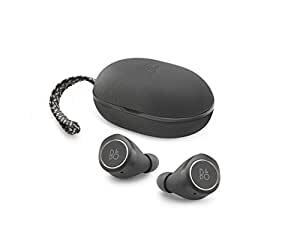 As an avid runner and designer I’m always using headphones but most importantly I needed a pair of buds that were durable, light and had that clear crisp premium sound.. Jussst as I was about to pull the trigger on some AirPods I found these E8’s and it was love at first sight. I tried hard.. like reallll hard to get behind the Apple AirPods but I just couldn’t get over how ridiculous they looked in the ear.. 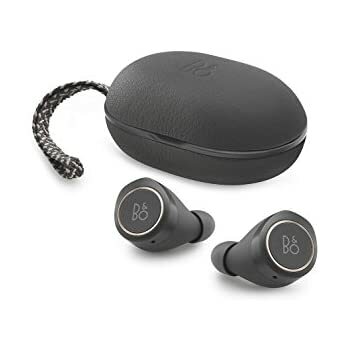 The e8’s checked off all my boxes and going on close to 2 months with them now I’m happy to report these are indeed bangin’. - Sound quality + equalizer are amazing. 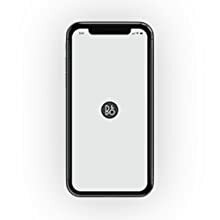 - Battery life is fantastic. I used these primarily for working out since they have no wires. They worked AMAZINGLY for 2 months and then they died. 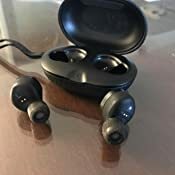 I sent them in for RMA and was notified that they "could not identify any warranty related defects" and was promptly shipped back my broken headphones. I assume that they had water damage from my sweaty ear canals and that is beyond the warranty? 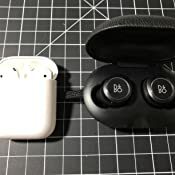 Regardless, the packaging says that they are "splash proof," so thanks for nothing B&O... Now have $300 paper weights- I should have saved money and bought airpods!!! !